Happy Sleeper Furniture is well-known for carrying mattresses. They even specialize in custom-cut ones. Their product selection includes much more than mattresses. 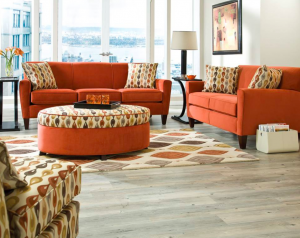 Central Minnesota’s longest-established mattress store also offers quality furniture for the living room, dining room, home office, and bedroom. Maintaining a laid back and easygoing environment for customers to shop in is easy when good processes are in place. Point of sale software helps busy retailers establish those good processes. PayGo’s customer, inventory, and employee functions help keep day to day operations flowing smoothly and can assist in the bigger buying and hiring decisions a store must make by providing the necessary reports. Saving money and streamlining credit card transactions are important to the owners of Happy Sleeper Furniture. That’s why they chose to use PayGo’s integrated merchant account partner, Payment Logistics. Now that they’re EMV/Chip Card compliant, they’ve also reduced their risk of having credit card information hacked, thanks to the enhanced data security setup. “I wanted to streamline the posting process and with the new system we eliminate an additional paper receipt copy,” said Zak. When they looked at what they would save by switching to Payment Logistics, buying the new machines needed for the switch wasn’t a concern. According to Zak, the machines they purchased in October will soon pay for themselves. Payment Logistics eliminates all gateway fees and they have promised to match or beat the processing rates that PayGo customers are paying to their current Merchant Provider. Since Payment Logistics eliminates 3rd party vendors, their support team’s response is fast. If you’d like to learn more about integrating PayGo with Payment Logistics, please visit our Merchant Accounts page. One source of stress for Zak was having to backup PayGo each day. Not everyone working at the store was comfortable with doing backups. So, if he was away from the store at closing time, backups were not being done. If something had happened to their computer system (a natural catastrophe, a computer crash, etc. ), they could have lost important information. “Since I’m not always here at closing, there were many times we wouldn’t get backed up, sometimes for days at a time,” said Zak. Everything is automatically backed up to the Cloud with PayGo WebDirect. With it, Zak’s ongoing problem has been solved. 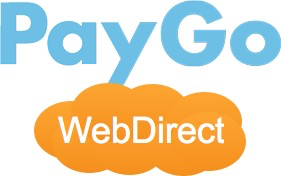 To learn more about PayGo WebDirect and how it can benefit your store, please click here. Contact us at consultant@paygopos.com.